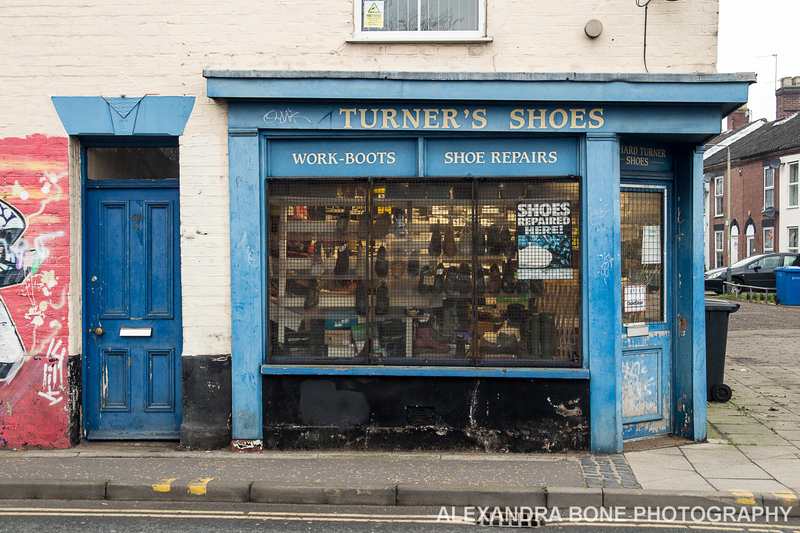 You may remember my blog in June this year about Turner's Shoes, the rather worn looking shop on the junction of Esdelle Street and Edward Street in Norwich. Following my blog, a lot of people told me stories about Mr Turner and the shop, which by all accounts has a lot of happy customers. Yesterday I passed by and found the lights were on and somebody was home! I got to meet Mr Turner himself. I thanked him for giving me some photographic inspiration and I told him how much I'd found out about his shop from the people of Norwich. His hand has healed well from his June surgery and he is very much back in business. He said he is busier than ever and doesn't seem to have any plans to retire just yet. We shook hands, wished each other a Happy Christmas and said our goodbyes. I was so happy to follow up the story behind my last photos here... What a lovely, welcoming chap.